We are a progressive design team that specializes in the transformation of residential homes. Whether it's one room or all of them, open concept living or adding more space, the Jaz Design team will plan, coordinate, design and manage your project through completion. We collaborate with our clients to create functional, innovative solutions and our 3D realistic renderings are always a part of the design package allowing the client the opportunity to visualize the conceptual space prior to the renovation. Each phase is outlined in our proposals and once approved, we assist the contractor to bring them to life! There is no such thing as a cookie cutter project. Each client is as individual as their home and it is our mission to provide a personal and extraordinary transformation that is a reflection of who they are and how they want to live. Residential and commercial architect serving the Boston area. Established in 2005, The Preservation Collaborative believes that every building has a life. Throughout that life, they change, bending to the needs and desires of their occupants. For centuries, they have silently provided us shelter from the elements; have become a refuge for memories, and have become treasured family/neighborhood keepsakes. In return, we have become the shepherds; we guide our buildings through the ages. Our team is comprised of award winning design professionals with decades of experience, assembled to provide clients with alternative options for their most valued asset. We have worked with our consultants on multiple projects; they share our design philosophy and our devotion towards sensitive improvement. Our projects range from small residential and commercial additions/renovations, to full scale historic resource management for large museums. We offer our extraordinary knowledge and diverse background for the benefit of our customers. Let us help you! Amacher & Associates designs elegant energy efficient spaces full of light and spaciousness even in tight quarters. With over 25 years of experience in green building design, techniques and materials including ZERO ENERGY DESIGN, we have designed at all scales, from doorknob to districts: house or condominium renovations and additions, sustainable development, renovation of historic buildings, community planning, and commercial design, for both contemporary and traditional buildings. You will experience our commitment to environmentally sensitive, resource efficient methods, materials, and systems and for finding straight forward solutions. Our clients are individuals and families, developers and community groups. Many of our clients are referrals or repeat clients. To address all our clients’ needs, we work in a collaborative process with our clients and our team of experienced consultants. Throughout the entire design process, our goal is to serve as our client's advocate. We view design as a collaborative process that involves listening carefully to our client's needs and desires and then translating them into a poetic expression that respects budgetary and functional requirements while celebrating and inspiring the human spirit. We approach every project, large or small, with passion, vision and sensitivity. We believe that quality design and construction will enhance the quality of life for the people that live, work and play in the spaces we create. At Foley Fiore Architecture, every project we take on, we strive to create an environment that will enrich the spirit. At the center of each project is the client. We value the process of getting to know people, understanding how they live, and how they work. Our success lies in tailoring a built environment that serves our client's needs, in an architecturally innovative manner. Hammer Architects, with offices on Cape Cod and in Cambridge, Massachusetts focuses primarily on residential design. Our portfolio includes both new homes, as well as renovations and additions that often require a sensitive integration with an existing historic or architecturally significant house. Our goal is to craft well designed buildings that are appropriate to their surroundings, make a positive contribution to their environment and are a joy to live in. Our projects have been widely recognized for their design excellence and published in numerous books, blogs and magazines. The size of our firm allows us to maintain close collaborative relationships and provide substantial principal involvement in all phases of our commissions. Our technical commitment enables us to arrive at innovative solutions, in response to our clients’ budgets, schedules and program objectives, and our experience permits us to discover creative ways to fulfill our clients’ expectations. Founded in 1990, Moskow Linn Architects is an award-winning, Boston-based architecture and design firm led by Robert Linn, AIA, and Keith Moskow, FAIA. MLA's wide-ranging portfolio, including residential projects, offices, and schools, is rooted in the details of the building process and New England craftsmanship. We collaborate closely with our clients, together examining project parameters and developing a dialogue to achieve architectural solutions that balance pleasure, work, and functionality. Through focused attention to detail we express how building components create an articulate whole. This approach includes the use of vernacular forms, materials, and tectonics to create contextual, contemporary architecture that engages its site and reveals its best attributes. The careful consideration of how one moves through a space and the resulting sensory engagement with a structure is also a fundamental driver of our design work, as is a commitment to creating forward-looking energy efficient structures. For every project we imagine a narrative that grounds our work with a timeless quality meant to last for generations. MLA has a longstanding tradition of expanding the boundaries of conventional architecture practice through theoretical interventions, small-scale investigations, and publications. These explorations allow us to approach design with fresh perspectives and push us to test the limits of form, process, and materials. At Oak Hill Architects, we consider each project as a unique opportunity to translate our clients' vision into reality. Our work ranges in style from traditional to contemporary, and in scope, from additions and renovations to new construction. 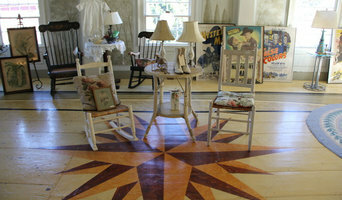 What remains constant is our attention to detail and our sensitivity to proportions, light, and the quality of spaces. By listening carefully to our clients and working closely with them through all phases of the design and construction process, we develop a comprehensive scope of work that is in line with their goals and priorities. We take a consistently thoughtful and collaborative approach to creating designs that reflect the client's lifestyles and aesthetics. These values are at the core of our practice. 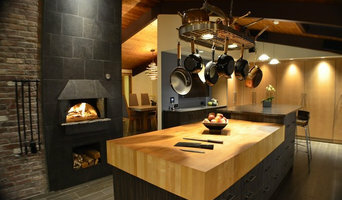 Middlesex & Norfolk County Trusted Architect - 6x Best of Houzz! "The greatest satisfaction comes from understanding a client's needs in order to translate that vision into form & functional art" Andrea Morton is the founder of aMortonDesign and a graduate of Cornell University. With over 20 years experience guiding projects from initial design through final construction she is well-versed in the coordination and negotiation required for a successful project. Her portfolio includes a wide range of project scales and types from renovations, additions, and new construction of residential, academic, commercial, and cultural institution projects. 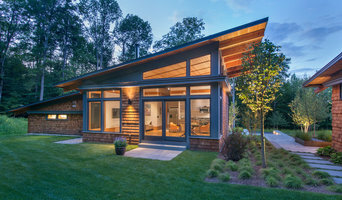 As a LEED Accredited Professional, her commitment to sustainability starts with awareness of siting for environmental impact, selection of materials with high recycled content, preference for locally sourced products, and identification of energy saving and producing technologies appropriate for each project. She has traveled extensively throughout the world and experienced first-hand the wisdom of vernacular construction and respect for local materials and conditions in producing sustainable and beautiful architecture. The focus for our residential team is YOU, our client & partner in the design process. We truly enjoy collaborating with our clients. We pride ourselves in having an open style of working because we believe that this collaborative style is critical to a successful outcome for your project. We believe architecture has to be a natural and simple extension of what is already there, yet it needs to improve the overall sense of any location. We apply our creativity with the newest technologies and building materials to blend the new and the old in a unique and artful manner. Working directly with an OL+ partner on projects ranging anywhere from master planning, to additions, to new design & build projects, our clients tell us that our innovative approach helps them realize their vision, plus so much more than they had ever imagined! How do I find the best Medford architect for my home design project? It is best to hire a home architect who will be involved in all phases of the design process, from the initial concept to the completed construction. The architect is often the first person you will hire for your project. If necessary, they might also help you select and hire Massachusetts subcontractors, which can include the builders, engineers and landscaper. Interior architects are also involved in negotiating contracts for all involved participants. It is for these reasons that it is extremely important for you to have a good relationship with the Medford residential architect you hire. He or she can be the tie-breaking vote between you and the general contractor and can be your biggest advocate during the construction process. 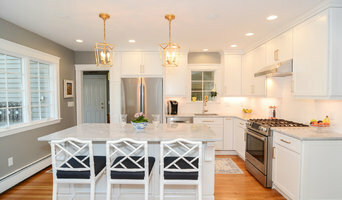 Different architecture firms in Medford, MA provide different services, so the scope of the work can span from pre-design environmental impact studies to selecting furniture and finishes, depending on what your specific needs are. It is very important to hire the right professional for the job. Remember that the most well-known or established designer might not provide the best architectural services for your needs. It all comes down to the individual project. Research and ask people whose work you like for recommendations. It's important to have somewhat of an idea of the style of house architecture that you prefer, as well as the amount you would like to spend. Residential architects in Medford, MA are natural problem solvers. They will assess the entire situation and help you to solve your problems too. Don't settle for a single company too early. Call and interview a few. Make sure that you feel like your personalities will mesh well and that you like their professional perspective. 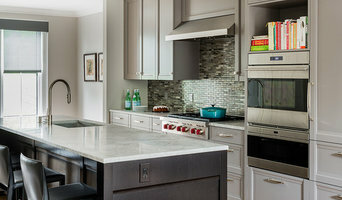 Find a home architect in Medford, MA on Houzz. Narrow your search in the Professionals section of the website to Medford architects. You may also look through photos of Massachusetts projects to find interior architects and building designers who have worked on a project similar to yours.